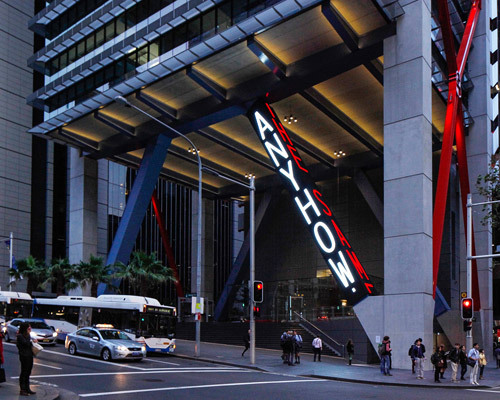 integrated into the architecture, 'I stay (ngaya ngalawa)' displays songs, poems, stories and other texts by aboriginal australians and torres straight islanders. 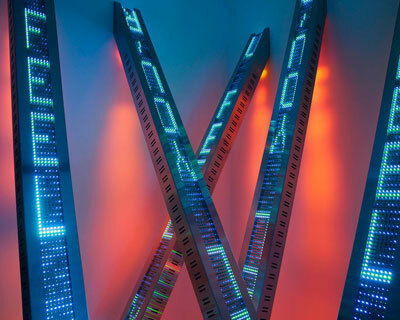 the exhibition showcases swarming masses of texts, layered and wrapped around one another and flashing to programmed pulses at specific rates. 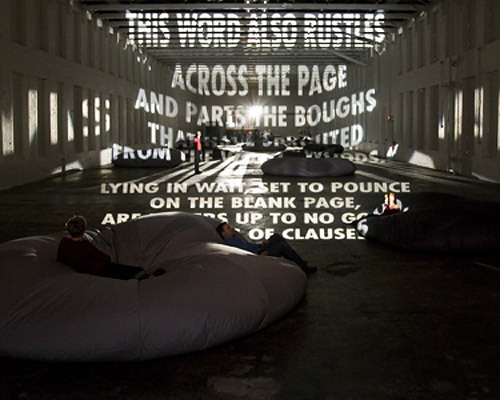 american born artist jenny holzer is well-known for expressing her ideas and opinions predominantly through light projections and electronic signs.